Pasta and cheese is a historical combination with an unidentifiable patient zero. But the specific combination of macaroni pasta and cheddar cheese finds its roots (those published, at least) in the early 1800s. Originating as a baked casserole, the infamous dish is today most known (and enjoyed) in the form of boxed “Mac n Cheese”. Whether you’re fond of the classic Kraft variety or partial to “liquid gold” Velveeta, this American comfort food is comfortable in part because of its contextual reference to childhood. And because it just tastes so damn good. 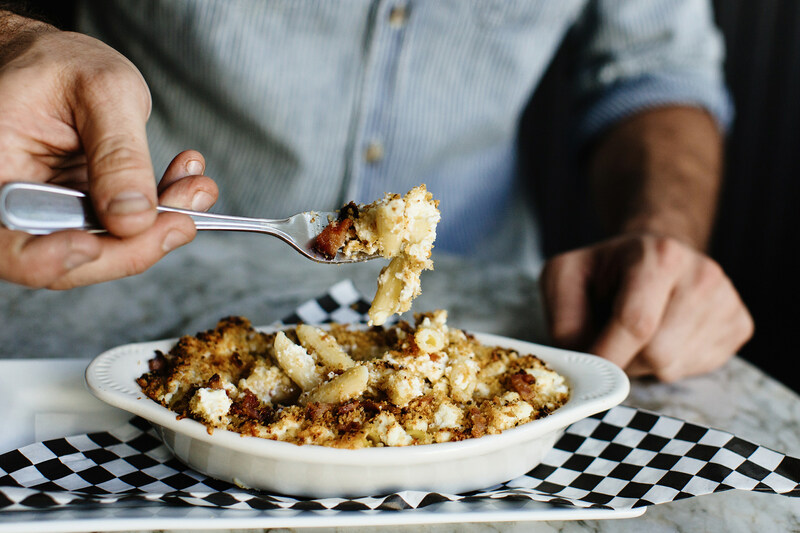 While most of us enjoyed macaroni and cheese on Saturday afternoons as kids (and again during late night study sessions in college), there’s been a resurgence of “crafted” mac from notable southern restaurants around the nation. 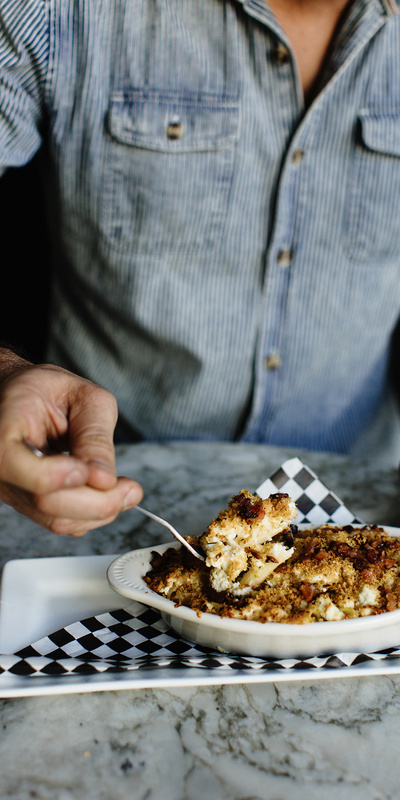 But while chefs do make some the best recipes — you need not visit a restaurant to enjoy a date-worthy mac and cheese. 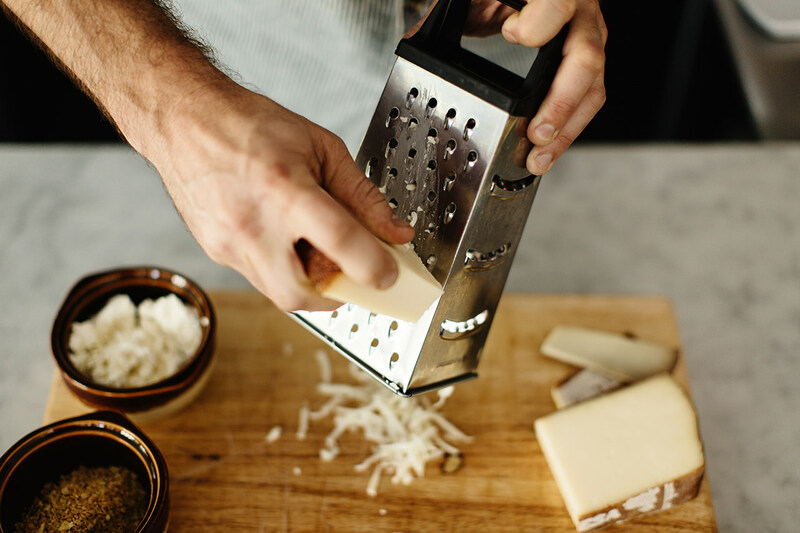 That’s why we enlisted Kevin Chambers, founder and executive chef at Italian restaurant Marmo, to share with us his own favorite take on the classic dish. Leave the SpongeBob noodles for 2:00 am and follow Mr. Chambers’ lead below. 2. Fill medium casserole dish with cooked pasta. 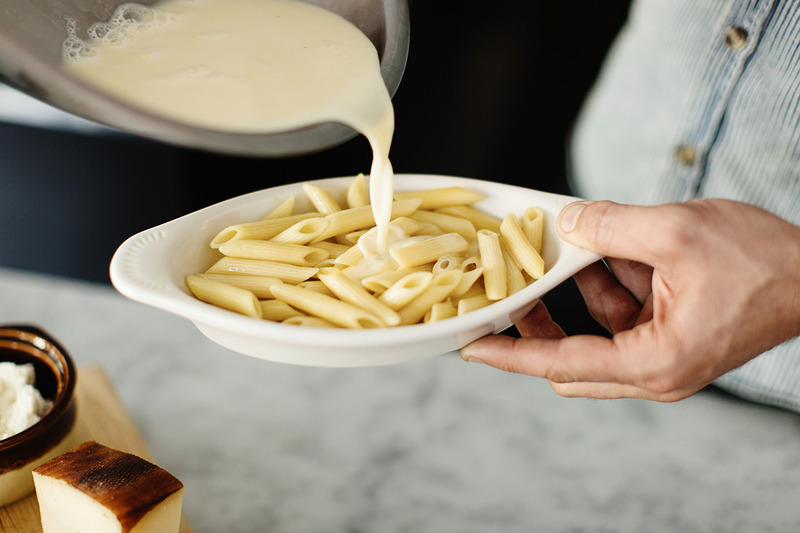 Layer fontina, asiago, ricotta, and 1 cup parmesan evenly on top of the pasta. 3. 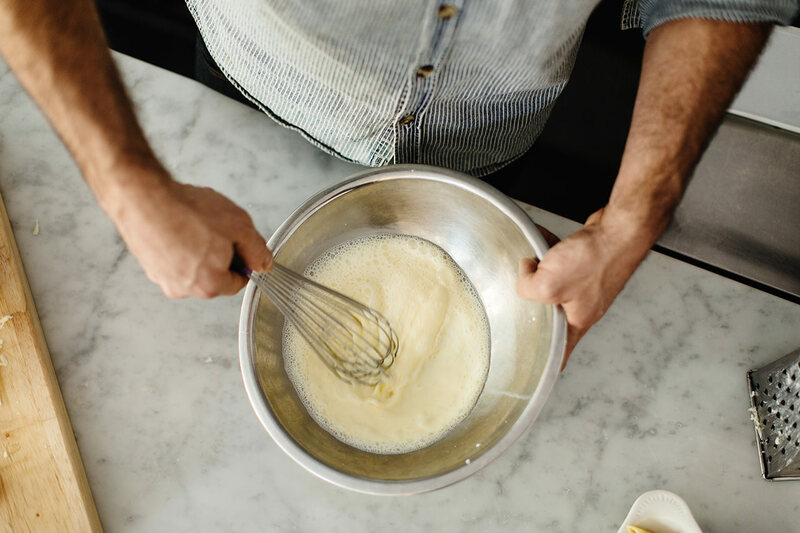 In a mixing bowl, whisk eggs, milk, and salt. 4. In a second mixing bowl, butter over bread crumbs, add a pinch of salt, mix to combine. 5. 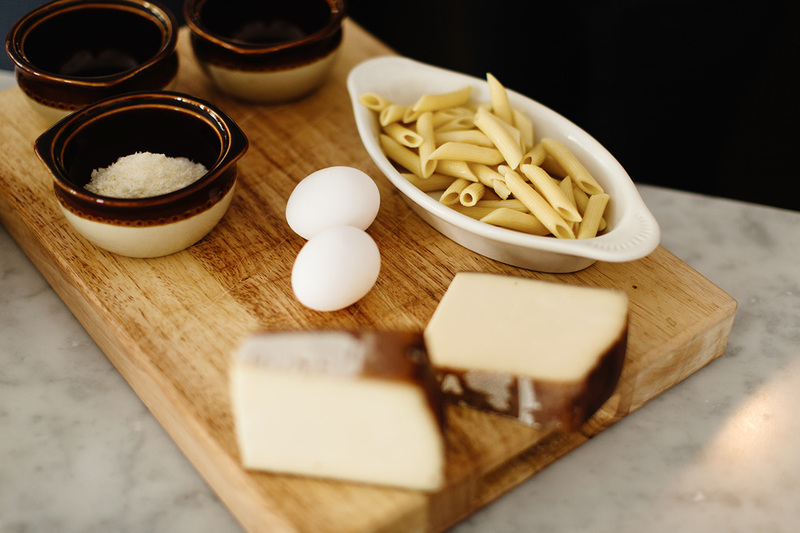 Pour egg mixture over pasta/cheese, take a spoon and mildly agitate the pasta so it mixes with the cheese. 6. 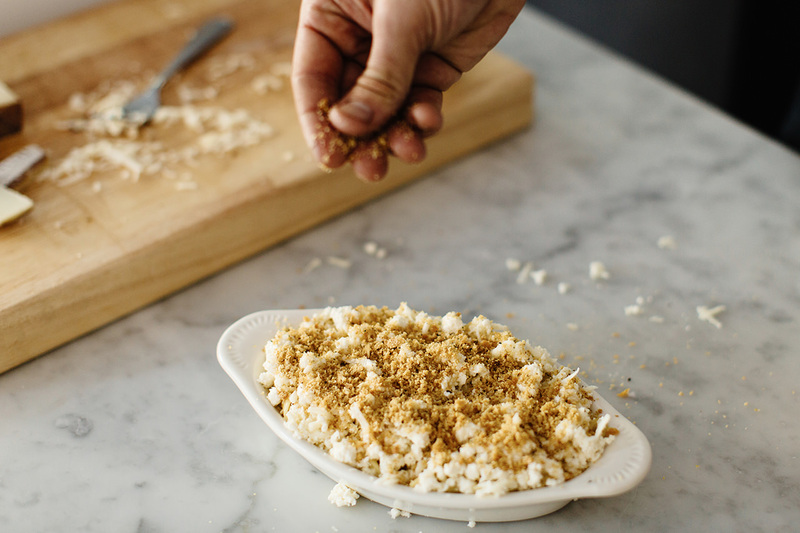 Pack buttered bread crumbs on top to form the crust, sprinkle the remaining parm evenly on top. 7. Roast bacon in the oven at 400° until crispy. After bacon has cooled, chop finely. 8. Bake casserole for 20 min @ 400°. Let sit for 5 min before slicing and serving, top with chopped bacon. Learn more about Kevin Chambers and his Italian-inspired restaurant Marmo by visiting marmopdx.com. Then book a trip to Portland and order the Italian Sub and Cannoli. You won’t be disappointed.